This chapter focuses on the ‘securitized’ Muslim student, portrayed as an intelligent yet vulnerable individual, susceptible to radical ideologies of extremist groups. This susceptibility has drawn universities into an Orwellian framework of monitoring and surveillance, creating greater insecurity for and about Muslim students. The chapter explores such narratives of insecurity placed within the wider discourse of radicalization and Islam. The narratives reveal how the fear of the radical Muslim student has implicated Islamic Student Societies (ISocs), with ISoc sisters particularly experiencing Islamophobia within and outside the university. Their accounts illustrate how Muslim students are not only under suspicion, but are also suspicious of being watched, spied on, or feared by fellow students. BBC News. (12/05/2011d) Protestors call for reinstatement of Dr Rod Thornton. BBC News. [Online]. Available from: http://www.bbc.co.uk/news/uk-england-nottinghamshire-13380860 (Accessed 03/15, 2013). Dodd, V. (22/09/2015) ‘School questioned Muslim pupil about Isis after discussion on eco-activism,’ The Guardian, Available from: http://www.theguardian.com/education/2015/sep/22/school-questioned-muslim-pupil-about-isis-after-discussion-on-eco-activism (Accessed 11/13, 2015). Dodd, V. (04/08/2010b) List sent to terror chief aligns peaceful Muslim groups with terrorist ideology. The Guardian. [Online]. Available from: http://www.guardian.co.uk/uk/2010/aug/04/quilliam-foundation-list-alleged-extremism (Accessed 08/07, 2012). Federation of Student Islamic Societies (FOSIS). (17/01/2015) Press Releases FOSIS Expresses Concern over Consequences of Counter-Terrorism & Security Bill on UK Campuses. Available from: http://media.fosis.org.uk/press-releases/1606-fosisexpresses-concern-over-consequences-of-counter-terror-bill-on-uk-campuses (Accessed 05 March, 2015). Hanjra, F. (22/04/2010) Student Islamic societies are radical, not extremist. The Guardian. [Online]. 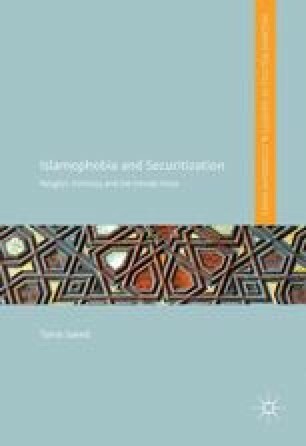 Available from: http://www.guardian.co.uk/commentisfree/2010/apr/22/student-islamic-societies-radical (Accessed 04/27, 2010). Her Majesty’s Government (HM Government). (2015a) Counter-Terrorism and Security Act 2015. Available from: http://www.legislation.gov.uk/ukpga/2015/6/notes/contents (Accessed 03/28, 2015). Jones, S. (14/09/2011) Student in al-Qaida raid paid £20,000 by police. The Guardian. [Online]. Available from: http://www.guardian.co.uk/uk/2011/sep/14/police-pay-student-damages-al-qaida (Accessed 03/05, 2012). Newman, M. (07/01/2010) Universities should not be ‘security establishments’, say experts on terror. Times Higher Education. [Online]. Available from: http://www.timeshighereducation.co.uk/news/universities-should-not-be-security-establishments-say-experts-on-terror/409863.article (Accessed 02/09, 2011). Ramesh, R. and Halliday, J. (24/09/2015) Student accused of being a terrorist for reading book on terrorism, The Guardian. Available from: http://www.theguardian.com/education/2015/sep/24/student-accused-being-terrorist-reading-book-terrorism (Accessed 03/02, 2016). Sutton, R. (13/12/2012) FOSIS must do more to demonstrate its rejection of extremist narratives. HuffPost Students. [Online]. Available from: http://www.huffingtonpost.co.uk/rupert-sutton/post_4207_b_2291779.html (Accessed 15/12, 2012). Townsend, M. (14/07/2012) Police ‘made up’ evidence again Muslim student. The Guardian. [Online]. Available from: http://www.guardian.co.uk/uk/2012/jul/14/police-evidence-muslim-student-rizwaan-sabir (Accessed 02/16, 2013).